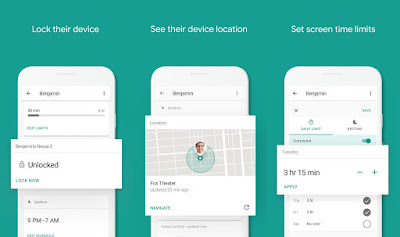 Google introduced the Google Family Link for children & teens APP which helps parents to monitor or watch their children's or teens Android device. See First of all a child/teen will need a compatible device. Then, parents can start by downloading Family Link onto their own device (Android or iPhone). If your child/teen already has an account, Family Link will walk their parent through linking their account to their child’s account. As part of that process, the child/teen may also need to download the Family Link (Child/Teen) app on their phone to complete the process of linking the accounts.Parents can also use Family Link to create a Google Account for their child. Once complete, children can sign-in to their device with their new account. Once the accounts are linked, parents can use Family Link to help them do things like keep an eye on screen time and manage the content they use. View Children activity on Mobiles using Google Family Link for children & teens APP : It is help your child make healthy decisions about what they do on their Android device, with activity reports showing how much time they’re spending on their favorite apps. How to Manage Children's Mobile from Unwanted apps : Handy notifications let you approve or block apps your child wants to download from the Google Play Store. You can also manage in-app purchases, and hide specific apps on their device. Guide your children's from curiosity Mobile APPS : It can be hard to figure out what apps are right for your child, so Family Link shows you teacher-recommended apps on Android that you can add directly to their device. Set limits : It’s up to you to decide the right amount of screen time for your child. Family Link lets you set time limits and a bedtime for their supervised devices, so you can help them find a good balance. How to Lock Children's Mobile devices : Whether it’s time to go play outside, have dinner, or just spend time together, you can remotely lock a supervised device whenever it’s time to take a break. 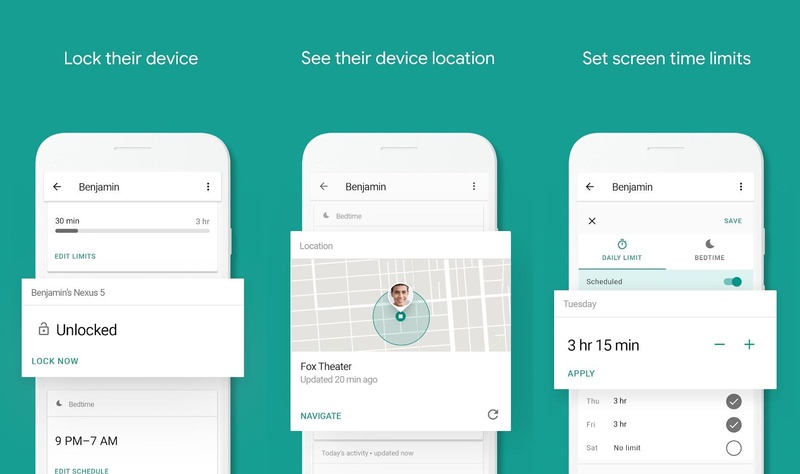 See where yours children's Going using Google Family Link for children and teens APP : It’s helpful to be able to find your child when they’re on the go. You can use Family Link to help locate them as long as they’re carrying their Android devices. Google Family Link for children & teens APP tools is vary depending on your child’s device. While Family Link helps you manage your child's purchases and downloads from Google Play, they will not need approval to install app updates apps you have previously approved, or apps that have been shared in Family Library. Parents should regularly review their child’s installed apps and app permissions in Family Link. You should carefully review or monitor the apps on your child’s supervised device and disable those you don’t want them to use. Note that you may not be able to disable some pre - installed apps. To see the location of your child or teen’s device, it must be powered on, recently active, and connected to the internet.